Orlando Window Cleaning is now Soaked and Co.
Everyone knows that clean windows are a good thing. The view is instantly improved and your home or office just seems brighter. But between dirty and clean there can seem to be this huge mountain that you just keep walking away from! Whether you use a squeegee or a newspaper the last thing you want to do on your day off is clean dirty windows! Don’t worry, we can climb that mountain for you. So really the only thing standing between dirty and clean is a phone call! We offer our services to new and existing homes. Both interior and exterior cleaning services provided. 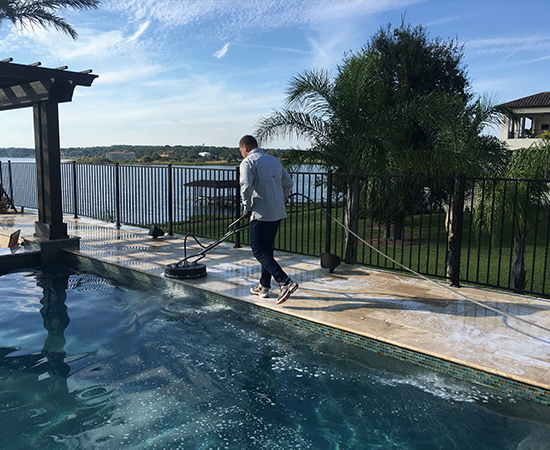 We safely power wash concrete surfaces as well as structures and fencing. We remove leaves and debris to ensure the flow of water is unrestricted. Wondering if we are truly professional window cleaners? We use the newest tools and equipment, train our employees regularly, carry the proper insurance, pay our taxes and arrive on time, uniformed and in a lettered vehicle every visit. We have cleaned thousands and thousands of windows from small 4 pane storefronts to large 40 story high rises. We know the industry and have perfected our craft. We are a small group of passionate individuals who enjoy what we do and would love to help you on your next cleaning project. Every property is unique. Our process for cleaning glass has to be as well. 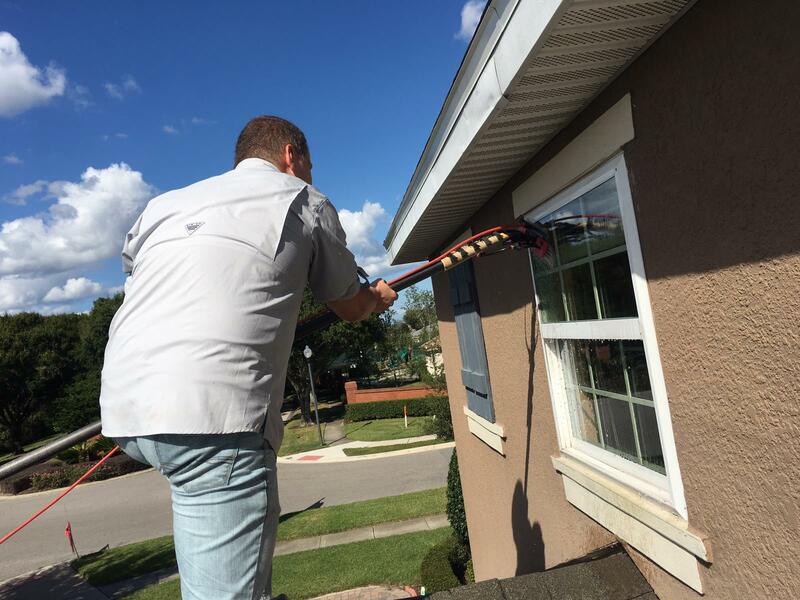 We use the latest tools and techniques to ensure your windows are thoroughly cleaned. We use both water fed poles (pure water system) as well as traditional squeegees on glass. Our method is refined and our equipment in good repair. We are very considerate of your belongings inside and outside of your home or office. We will leave your property in better shape than when we left and without evidence that we were even there. Copyright © 2018 Orlando Window Cleaning. All Rights Reserved.